As we ease into a new year, it is about both looking back and moving forward. And these days, in our attempts to meld past and future, we often come to the intersection where tradition meets technology. In thinking of how this translates into design, I was reminded of a segment in a recent video that was not included in the final cut (the challenge of editing). Architect Peter Pennoyer‘s passion for classicism and extensive knowledge of architectural history clearly informs all his work. And while he is inspired by the past, he is not restrained by it. Understanding the history of architecture and design provides the information and tools to move forward in a creative and original way. This is not about recreating the past but rather reinterpreting it so that there is a relevance between past, present and future. 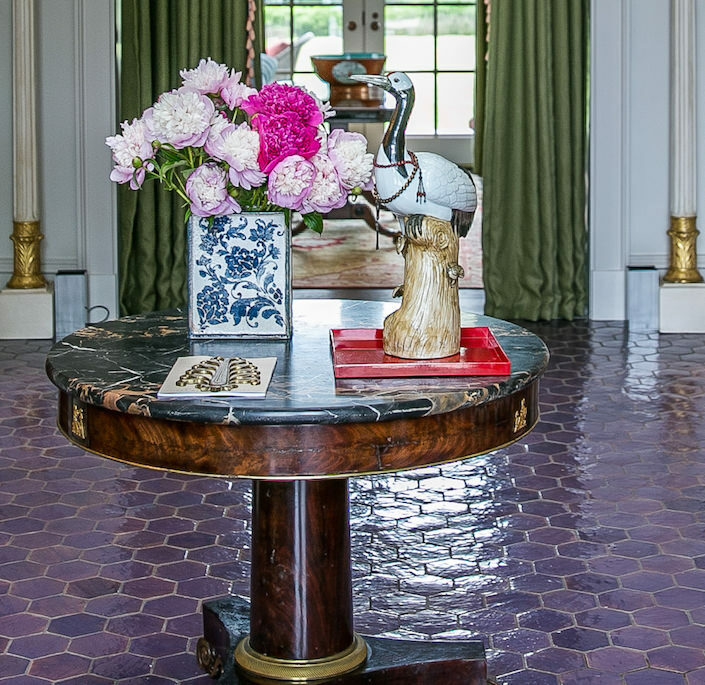 On the table in Peter and Katie’s entry in their country house was a handsome piece of hardware found in a Fifth Avenue apartment Peter’s firm had gutted. 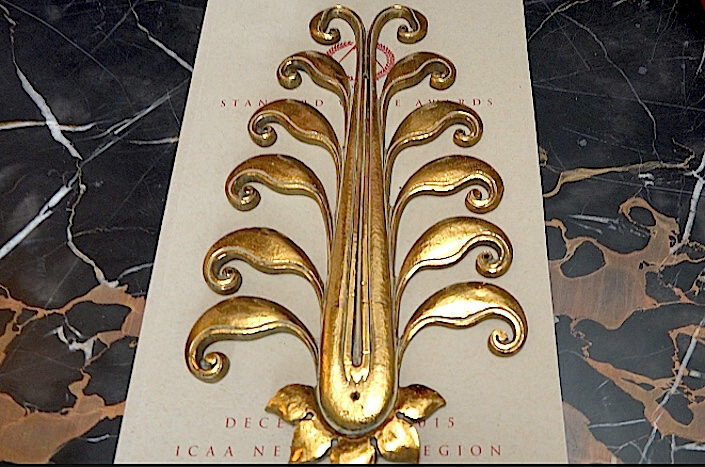 It was so beautiful that Peter saved it, cast it and used it on furniture and as ornament on walls in other projects, providing this antique artifact with a continuing afterlife. But sometimes inspiration from the past is transformed through technology into something new. While on a trip to Sweden, Peter saw a beautiful doorknob he loved. 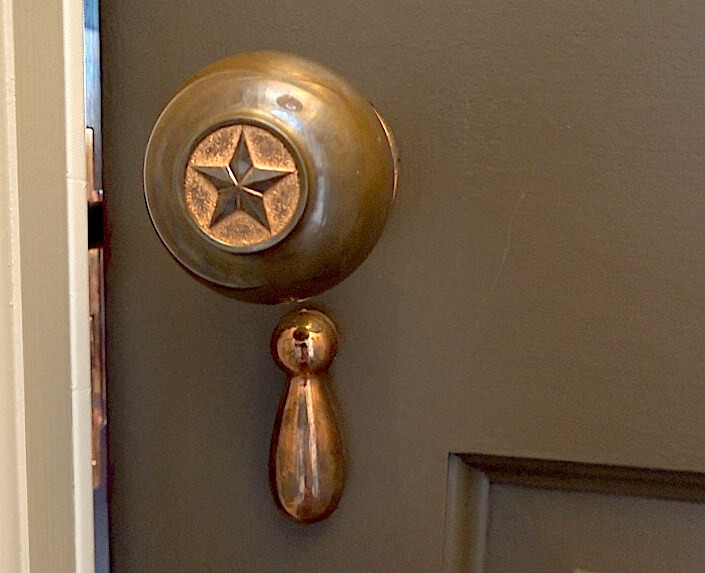 When back, he sketched it, had it printed on his office’s 3D printer and then sent the prototype to Lowe Hardware in Maine who produced the actual doorknob, which was used throughout the second floor of the house. 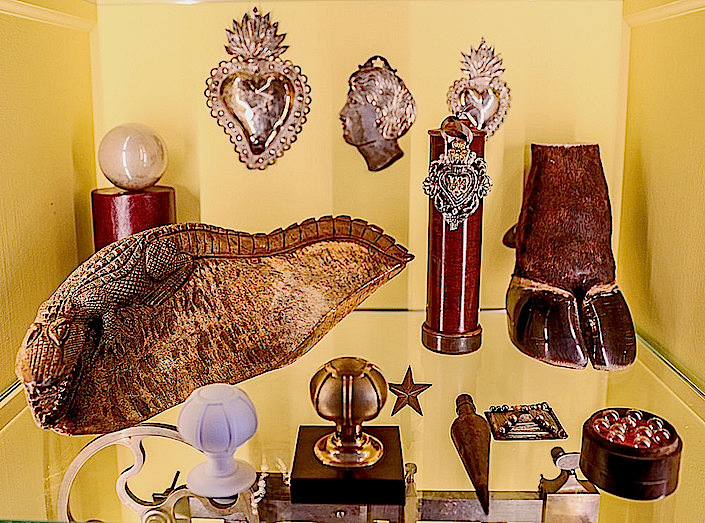 Both 3D printed version (in white) and final knob seen in Peter’s cabinet of curiosities above. 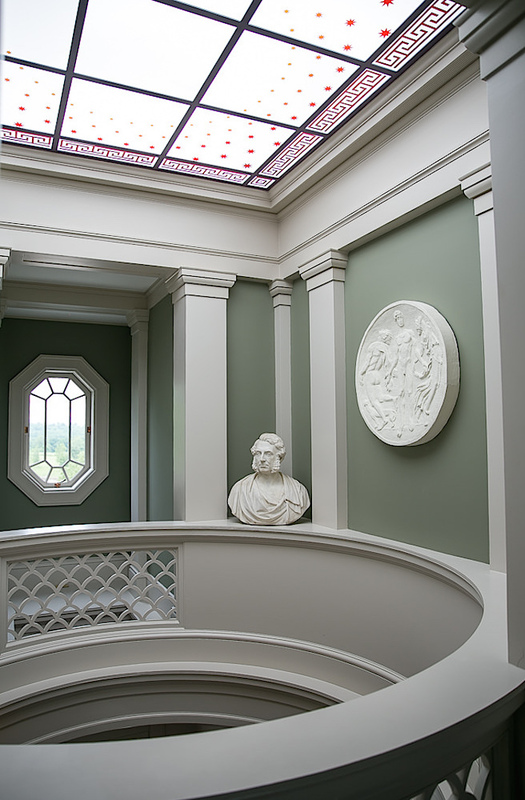 Another version, in situ above, was created with the same process and used on the first floor. Below a photo of the finished product at Lowe. 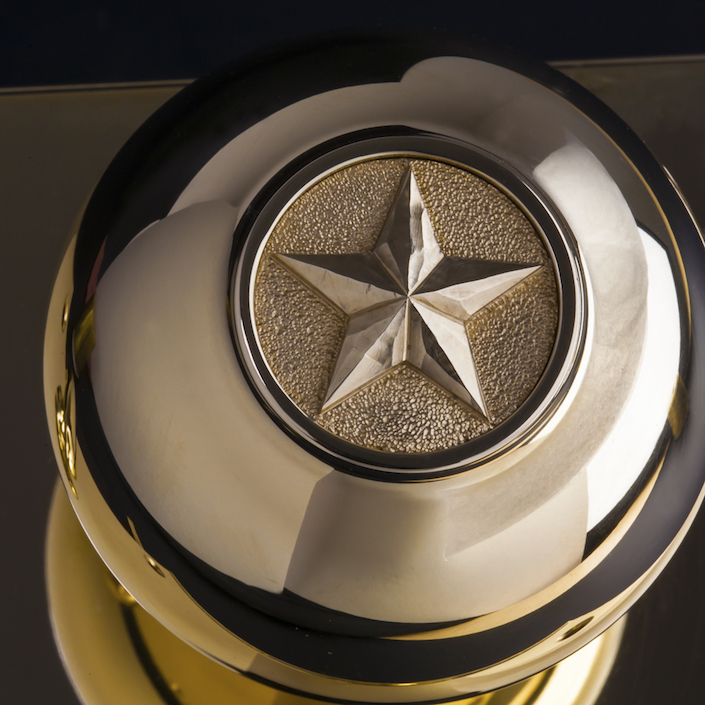 And while all design in Peter’s office still originates with drawings by hand, 3D technology can bring a designer’s work to life, whether to make prototypes of bespoke products to be manufactured or to help clients visualize a project, as below. he has found that tradition and technology are not mutually exclusive. 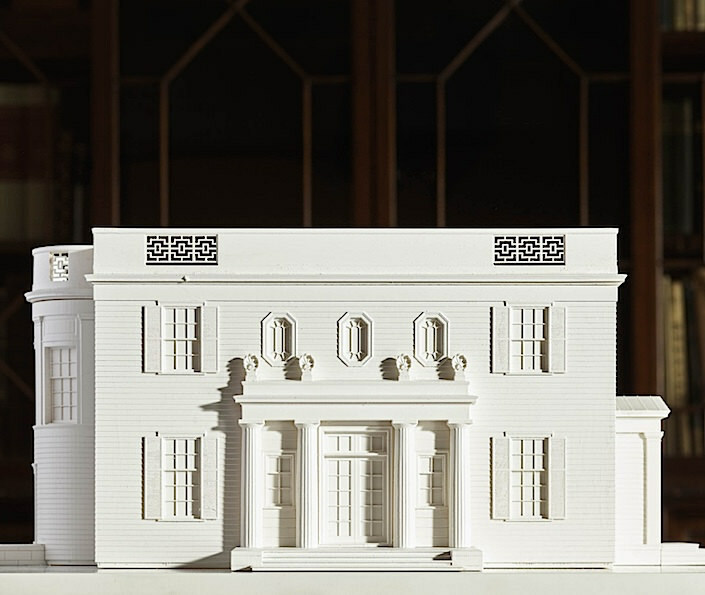 In fact, reinterpreting the language of classicism for contemporary living can be enhanced through modern technology as seen in the 3D model of Peter’s own country house below. So, as we move into 2017, let’s remember that the past yields many design lessons for life today and is not only relevant but can be brought to life where tradition meets technology. And if you somehow missed Susanna’s and my video tour of Peter and Katie’s amazing country home, take a peek. This entry posted in architecture, interior design, technology. 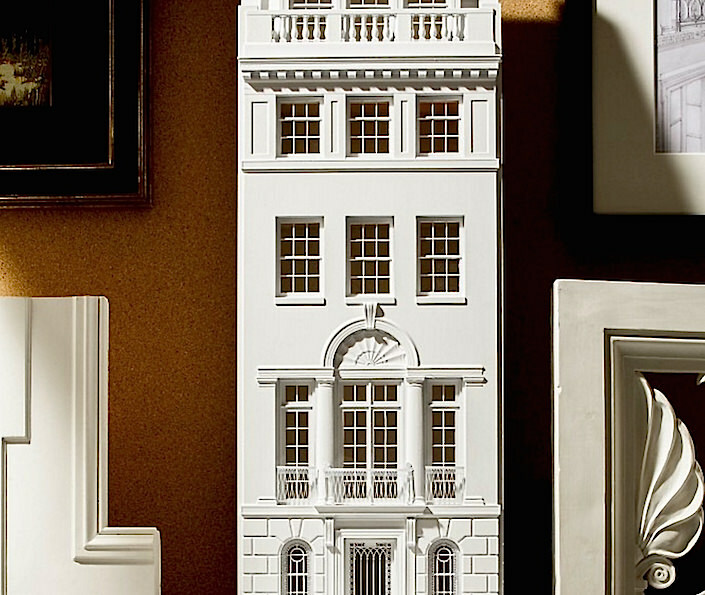 Entry Tags: 3D printing, Architecture, classic architecture, Peter Pennoyer, technology in design Bookmark the permalink. I love this visit to Peter and Katie’s! I need a 3D printer now! 84 queries in 1.270 seconds.